This is related to the Constitutional Requirement for each state to redraw / re-apportion their US House Districts every 10 years with respect to the latest census. This year, Texas will receive four (4) additional seats and this forces a redraw of many districts. Due to this effort being delayed until the very end of the legislative session, options will be limited, and the map must apparently be drawn up in the TX Senate and approved by the TX House. According to the urgent e-mail from Phil Kink below, they are trying to remove us from our current US House District with Kay Granger and actually split our District. The proposed map would move the southern half of Parker County into a very gerrymandered district all the way down to Austin (very Liberal), and the northern half of Parker county will go into a gerrymandered district all the way up to Amarillo (Moderate). The effect of this action will be to dilute our effective voice in the US House as a conservative County, which is probably intentional. 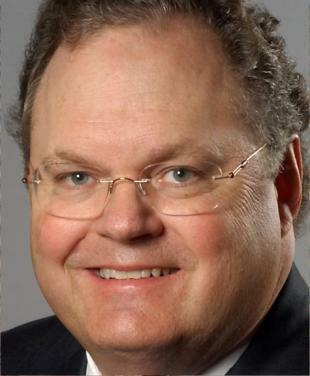 I urge every one of you to call Senator Craig Estes (TX Senate District 30) who represents our County in the TX Senate and is also serving on the Senate Select Committee for Redistricting. They need to know that we want all of Parker county included in a single US House District with like minded conservative voters. We are strongly opposed to any gerrymandered district that spreads our influence across a large geographical region and makes it very difficult to elect a Republican US House Rep. Senator Estes can be reached in his Austin Senate Office at 512-463-0130, and I encourage all of you to call immediately today. Note that they will probably tell you that all possible maps are just rumors. However, we know that both Phil King and Kay Granger have both confirmed that this is more than just a rumor and that in reality, due to the late nature of this activity, these are the types of ‘rumors’ that become the final version with no time or mechanism to make a change before it is too late. We want Senator Estes to stand up for Parker County and ENSURE that we get proper representation in the US House. Hi, My name is _________, and I am a resident of Parker County in Senator Estes’ Senate District. I am calling about the proposed redistricting map for the US House that splits Parker County into two separate US House Districts with North Parker County going up to Amarillo and South Parker County going all the way to Liberal Austin. Please make Senator Estes aware that his Parker County constituents want to be included together as a complete county in a geographically contiguous district that makes electing a Conservative Republican a good possibility. Senate redistricting well. Now we have to work on congressional. Please forward this to anyone you may have sent the prior email to. Split us up, and get away from Kay Granger……………hmmm…………nothing would make me happier. I have seen my share of disgusting, rubberstamp, selfserving politicians, and she is just that. Attempting to come across as a “conservative”, her voting record includes voting FOR – TARP Handout 1, telecomm immunity, Warner Defense Appropriations, Patriot Act renewal, ad infinitum ad nauseum. Her mendacity and hubris is rivaled in this state, only by her fellow trough feeders, Kay Hutchinson and John Cornyn…………..(all 3 are real “ZAN” RepubliCONS). They should wear Jackets like NASCAR drivers, so we know who all their corporate sponsors are. Granger cares NOTHING about the Constitution, the Bill of Rights, and true liberty issues……………..so – we couldnt do much worse! Hmmmmm! go get’m senator, what are recommendations? Hello! This post couldn’t be written any better! Reading this post reminds me of my old room mate! He always kept talking about this. I will forward this post to him. Pretty sure he will have a good read. Thanks for sharing!